Last week, we talked about the defining horror movie of the 1970s. This week, it’s time to look at the defining horror movie of the 1960s, a film whose influence on film is really hard to understate. And it should be no surprise that it’s covered on a column dedicated to classics, considering it’s directed by none other than Alfred Hitchcock. Alfred Hitchcock’s Psycho has left an indelible mark on pop culture. In many ways, it is the dividing line between the early days of horror and the modern horror film; it’s influence on thrillers and slashers is immeasurable. Almost 60 years later, the film still holds up as a great film, not just a classic because of its influence, but a classic because of its craft. There’s really very few films in either the thriller or horror genre that are as good as Psycho, which shouldn’t be a surprise – Hitchcock is arguably the greatest director of all time in terms of the sheer volume of classic material that he put out. I find it interesting that Psycho saw an instant divide amongst audiences and critics. Contemporary reviews thought the film was a step down for Hitchcock, and criticized him for “easy shock value” and going for black and white after several gorgeous technicolor films, among other complaints. But audiences immediately gravitated to the film – it was the second biggest hit of 1960, surpassed only by the smash hit that was Spartacus. 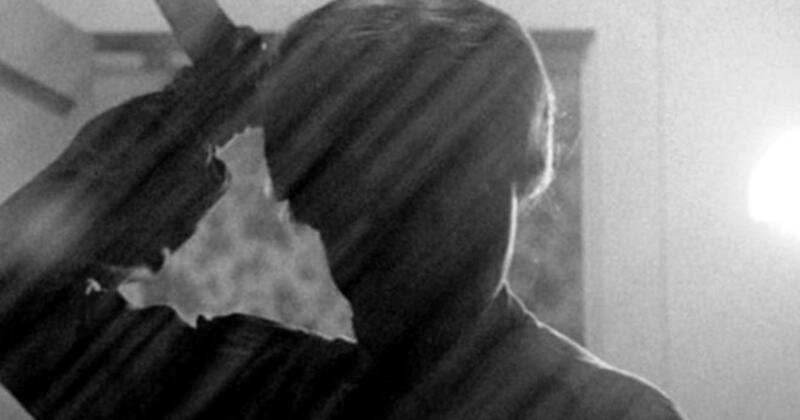 With relaxed censorship in American films, Psycho was able to prove that there was an audience for horror that respected its audience, preyed on their emotions, and outright terrified them. 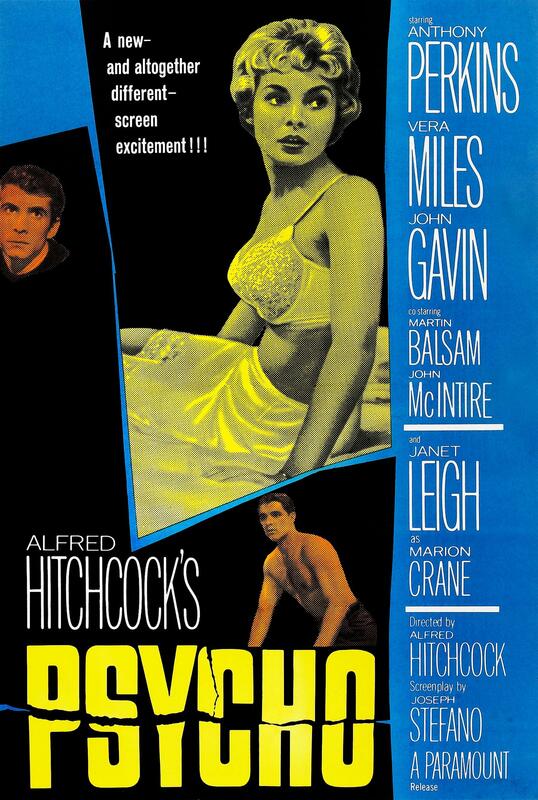 Psycho is a film that is nearly impossible to discuss without spoilers – in fact, Hitchcock was able to negotiate a “no late entry” policy for the film in order to protect the experience for audiences. While I think almost six decades is a long enough wait that I shouldn’t have to post a spoiler warning, I’m sure there are some who are only familiar with the film in passing. 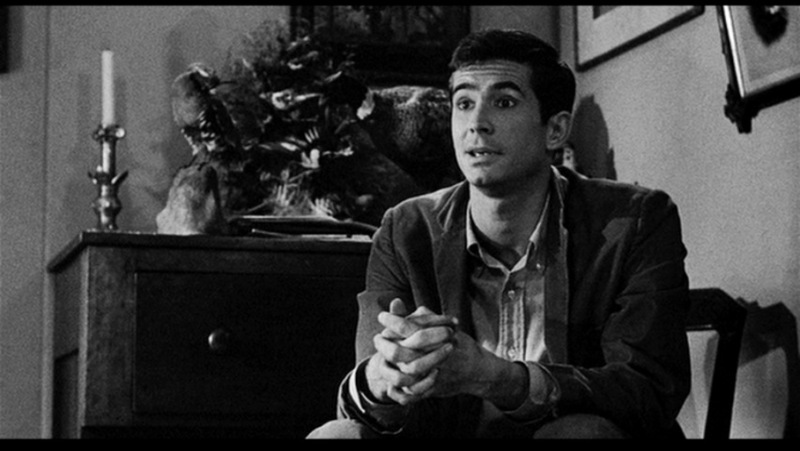 So, if you haven’t watched Psycho, please do so before proceeding further. Psycho‘s most notable narrative trick is how effectively it sets up Marion Crane as a decoy protagonist. The first half hour of the film is dedicated to letting us get to know her, the case of money (a classic Hitchcock MacGuffin) seems like the inciting incident, and even when we start to pick up that the offputting Norman Bates may be the villain of the film, we’re still expecting Marion to be our hero. And then the infamous shower scene happens, Marion is killed, and we get to watch Norman go through the step by step process of removing the evidence while we recover from the shock. Now, the scene is a masterclass in editing and scoring a scene for maximum scares, but part of the reason it works so well is that you just don’t expect Marion to die after you’ve spent so long watching her. But it turns out she’s just a vehicle to get to the real plot: who is Norman Bates, why did he kill Marion and how is he going to deal with the consequences? 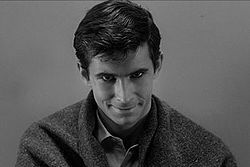 Norman Bates and his dual personality make for one of cinema’s strongest antagonists. I love how the film introduces him as an “aw shucks” innocent who, while being a bit awkward, seems harmless and even unimportant, no different from the policeman or the car salesman that Marion had already encountered. But then she sits down and has a meal with him, and we get clues to his true nature, one by one. The stuff birds, suggesting his comfort around dead things, his creepy obsession with his ill mother and serving her, and his familiarity with mental institutions and the anger the topic causes him. It’s a slow reveal and Anthony Perkins plays it wonderfully, often telling us one thing with his dialogue and another with his body language. I’m also a big fan of the post-murder clean up, as Norman goes from shocked and panicked at the actions of Mother to revealing his deep satisfaction in watching the car with Marion’s body sink into the swamp. These scenes establish who Norman is and help to crank up the tension of every conversation he has with Arbogast, Sam and Lila. Tension and suspense are the hallmarks of Hitchcock, and they are certainly on display here. The film is extremely well edited around the conversations; even mundane scenes like Marion’s encounter with the police officer and getting her new car are riveting to me because of how they are put together. But then you take that level of expertise and put it in a setting like Norman’s parlor with all the birds, and you get something truly special. Hitchcock, cinematographer Russell and editor Tomasini mine the most out of a few angles and some carefully timed cuts. But nowhere is all of this skill more clearly on display than in the iconic shower scene, which has dozens of cuts that are heightened by Bernard Herrmann’s amazing score to create a sense of intimacy and violence that make the scene truly iconic. And I really can’t say enough about Herrmann’s score in general – it’s one of my favorites, from the opening credits to the highway scenes to the climactic reveal of the Mother persona, he elevates every scene he composed for. To me, Psycho is a virtually perfect film. Now, I’m a sucker for this type of thriller, which is equal parts crime procedural, character study and proto-slasher film. But even if I wasn’t inclined to like it because of my genre preferences, I’d have a hard time picking out anything to complain about. The only things that plays uncomfortably out of date is the films understanding of mental illnesses and gender politics, which you expect to happen in a film from 1960. The film does prey on the insecurities people have about gender nonconformity, but it even handles that relatively. And while the term Dissociative Identity Disorder wouldn’t be coined for a long time, this actually does cover the topic in relatively accurate terms. This film is a masterpiece, pure and simple. Psycho isn’t just a classic horror flick – it’s a nearly perfect movie that is keenly edited, superbly scored, and meticulously directed. Hitchcock has directed a few better movies I like more (Rear Window, Vertigo, North by Northwest), but Psycho really feels like the Master of Suspense is most in his element. It was game-changing in its time and remains compelling, unnerving viewing to this day. I usually recommend horror movies only to people who really dig horror, but Psycho is an exception: you should make it a point to see Psycho no matter what kind of films you gravitate to.